Learning and Development for Social Care Workers, Social Workers and Early Years Professionals. Post Registration Learning and Development (PRTL) for NISCC Registrants. Scroll down to see our learning resources. Digital learning resource for social care workers and managers to support you to meet the Social Care Councils Standards of Conduct and Practice. 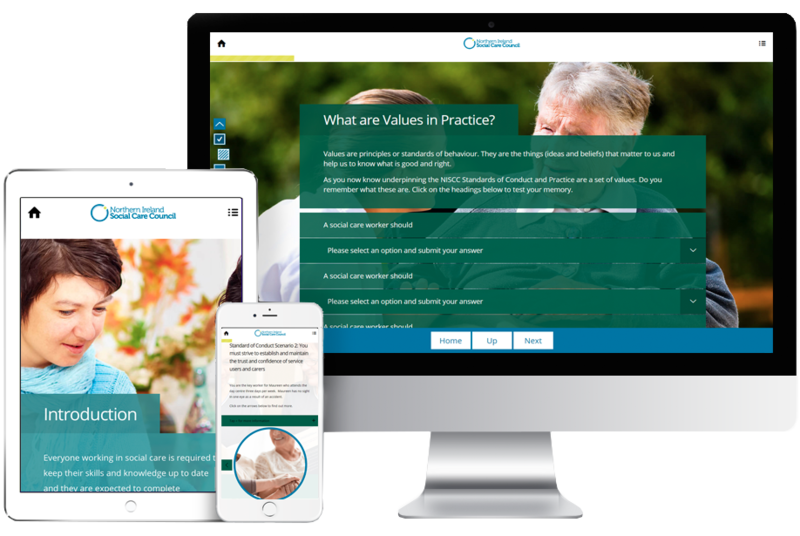 Digital learning resource designed for social care staff working in Adult Care Homes, Nursing Homes and Day Care settings. The Manager's Induction Programme outlines the key areas of responsibility expected from managers when starting a new role. The NISCC Induction Programme is applicable to ALL new social care workers entering the workforce and those changing jobs roles or employers within the sector - irrespective of their qualification level.